can make the tax system less equitable by providing benefits to the wealthy and forcing governments to rely on indirect taxes that are disproportionately paid by low- and middle-income households to replace the revenues lost through the tax expenditure. 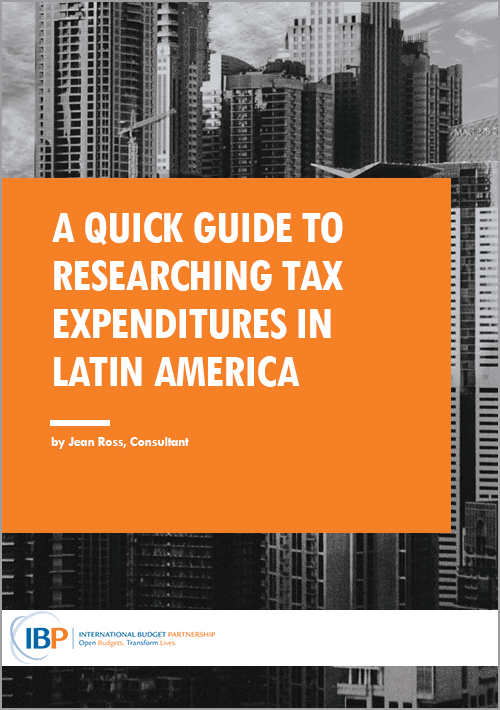 This guide (available in English and Spanish) provides an introduction to approaches that can be used to develop a research and advocacy plan for those who are new to analyzing taxes and tax expenditures in Latin America. The guide focuses on how to define the problem you wish to research and sources of information that can be used to understand and develop possible solutions.